I had never heard of Al Plastino, until I started reading into the life of Jack Kirby, and found that DC having hired the King to draw Superman stories, had Al come in overtop of Jack's pencils, and redraw Superman in a more 'non-Jack' way. As insane to read today as it was then, it instantly had me dive into researching this Plastino character and see what history he had that awarded him such favours. 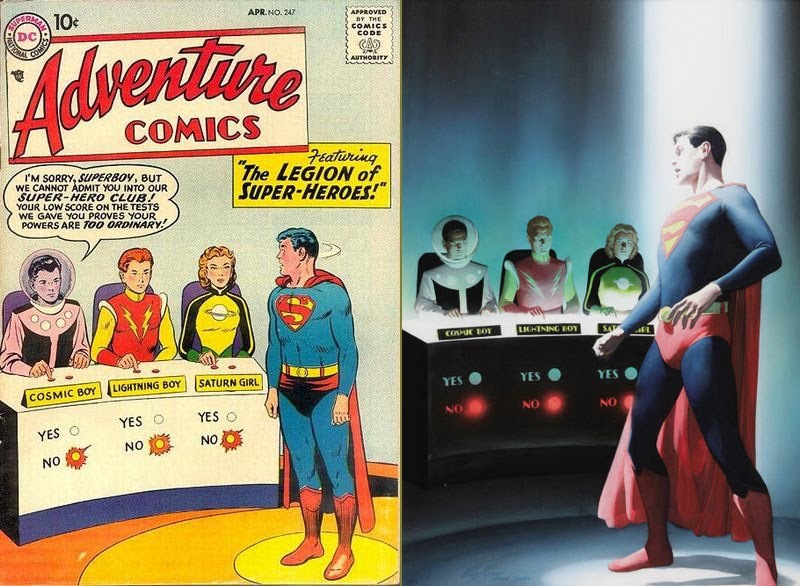 What do you know, I found he co-created the founding members of oneof my favourite DC concepts, The Legion of Superheroes, and the one who has never really been right since Crisis On Infinite Earths, Supergirl. 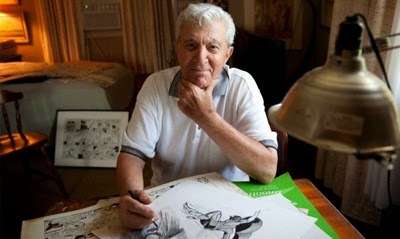 Today, DC Comics announced Al has past on at the age of 91. 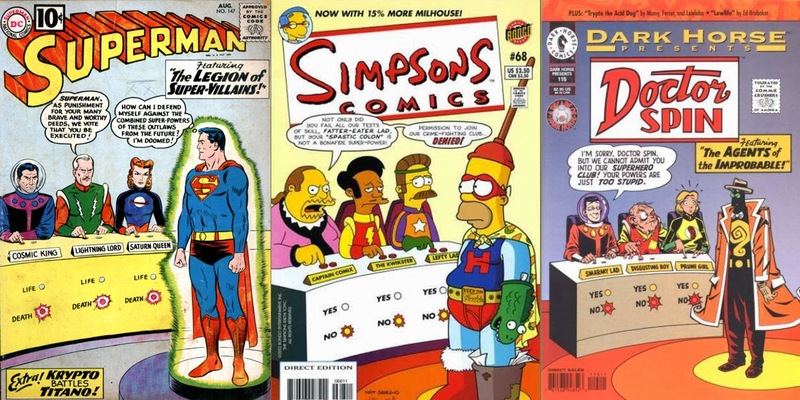 To celebrate his remarkable innings, here is a look at all the creators who have homaged his cover to the Legion's humourous debut. From the top; the original cover, The Overstreet Comic Book Price Guide #29 by Alex Ross, Superman #147 by Curt Swan - (perhaps comics first cover homage? ), Simpsons Comics #68 by Matt Groening and Jason Ho, and Dark Horse Presents #115 by Roger Langridge. Necessary Evil #10 (unpublished), Adventure Comics #0 by Aaron Lopresti, Ambush Bug: Year None #4 (interior page) by Keith Giffen, Teenagers from the Future by Kevin Colden. Soulsearchers and Company #59 by Amanda Conner, Legion of Super-Heroes #88 by Alan Davis, Sidekick Summer Special #1 by Chris Moreno and Legion of Super-Heroes in the 31st Century #16 by Alexander Serra. What do you think? A big thanks to ilovecomiccovers for help with this post. I started researching individually, and that site made the task a whole heap easier!